The work called “With Love” describes a kind of ritual, which is drinking and enjoying wine. To sensory tasting, it adds the value of life, life events and celebrations, where we open wine. 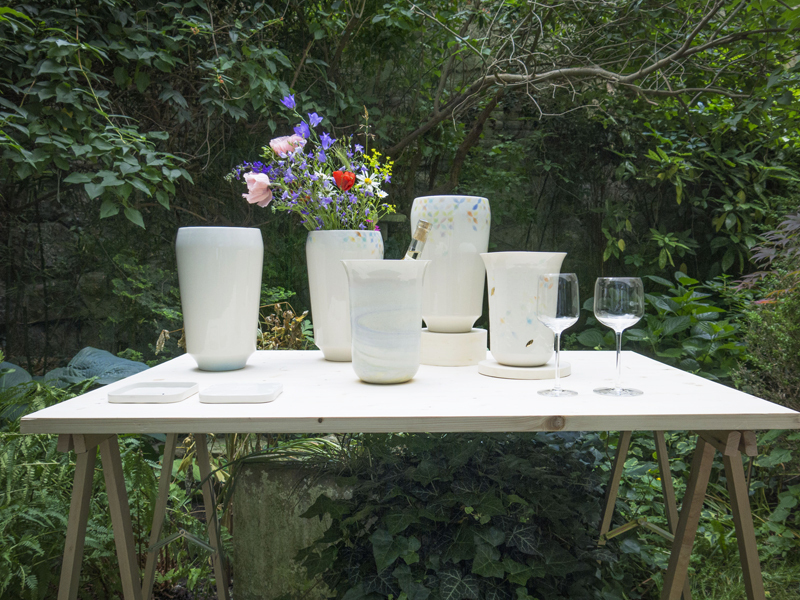 The work is a collection of porcelain products for refrigeration and wine serving, that have a coded symbolism in shape and decor. The starting point is wine as beverage which in symbolism connects heaven and earth. This link is described by the geometry of the circle and square as connection of the physical with the spiritual.